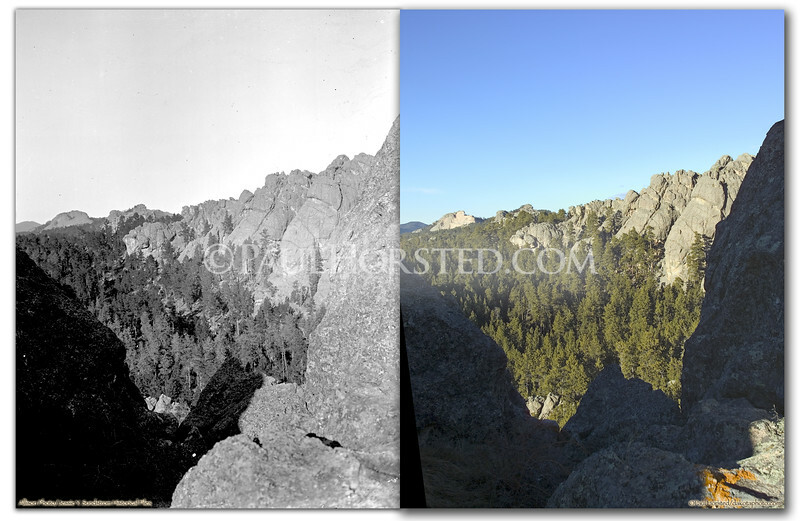 Original image (from glass plate negative) by William C. Allison; view of Buckhorn Range north of Custer, S.D....with future Crazy Horse Memorial in distance, as seen in modern view. Historic image courtesy Jessie Y. Sundstrom Historical Files. ©Paul Horsted, All Rights Reserved.